Celebrating my 61st, birthday in Iceland was puzzling to most of my Boston friends. They figured anyone living in New England would head to a tropical climate rather than head off to an even colder country. This year I amazed myself by stepping outside my predicable Capricorn comfort zone by adapting a little bit of my wild and adventurous Aquarius side. I've had the hardest time describing Iceland's constantly changing winter weather which is why I love photography. However, I really need to wrap my brain around the appropriate words so folks can Google and find my work like this stunning sun peeking through winter clouds Icelandic greeting card that I photography while riding the mini tour bus. lol. Yes, I love collecting gold bracelet charms as travel mementos. It became a passion of mine back in 2008 when visited Rome and part of our tour was a discount to a jewelry store in the Piazza. I've since learned to research, locate and contact jewelry stores before I even leave my house and get on the plane. I'm so ecstatic to have added my new Reykjavik, Iceland to my almost completely full bracelet. 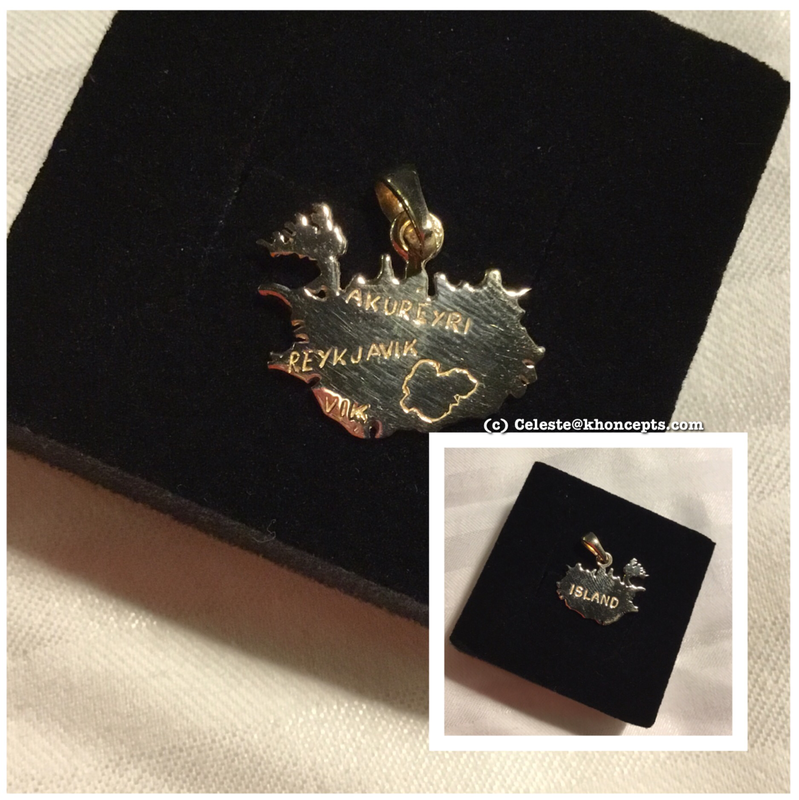 I was hoping it would have Iceland written on it however I believe Iceland is island in Icelandic. 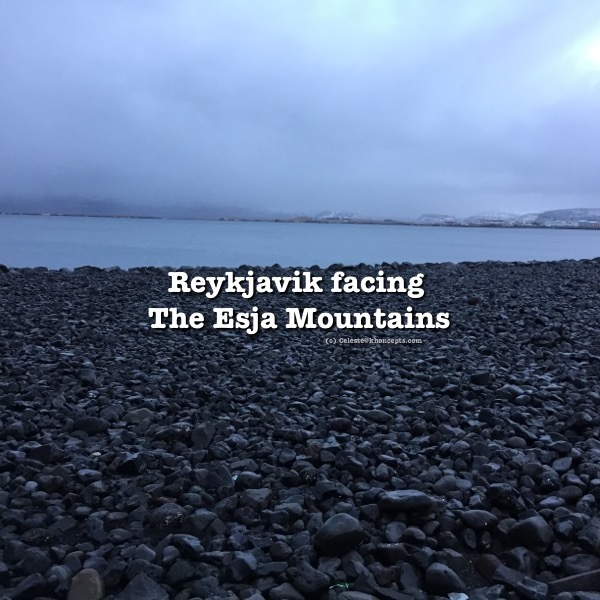 Trip email alerts are wonderful as they pop in my email box saving me time and sometimes a vacation will appear that I never would have even thought of traveling to and Iceland was one such package. A super four night, airfare, hotel, transfers, free breakfast AND Wi-Fi all for under $750.00. There was absolutely no hesitation, picking up the phone and book this Travelzoo advertised vacation / 61st birthday trip. Rain, snow, rain, snow, sunshine and snow all on the same day. A few favorite photos of recent visit to Iceland. It's been a very long time since I've been enamored of a country and for some unknown reason, my quick, 4 day visit to Iceland remains very vivid in my mind. 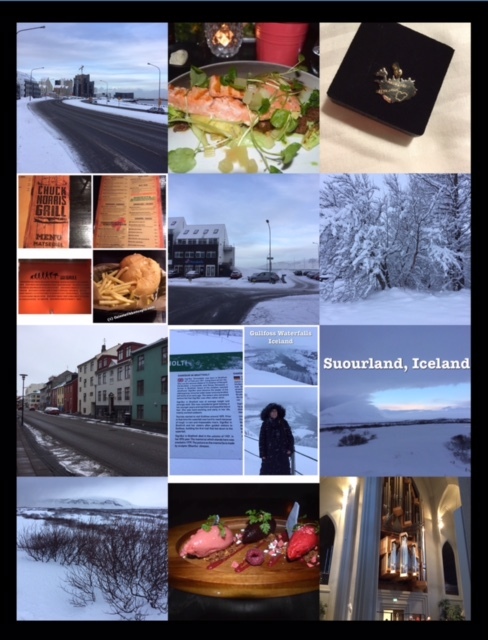 I can't seem to stop talking and writing about my January trip to Reykjavik. Almost every single person we met was friendly and helpful. Only two, a salesperson at a jewelry store in the city and a flight attendant at the airport on our last day made it a 98% successful adventure. It is very much on my radar and I've set up a travel discount package alert with a plan to return during the summer for a comparison.